Congratulations to the winners at our latest tourney! 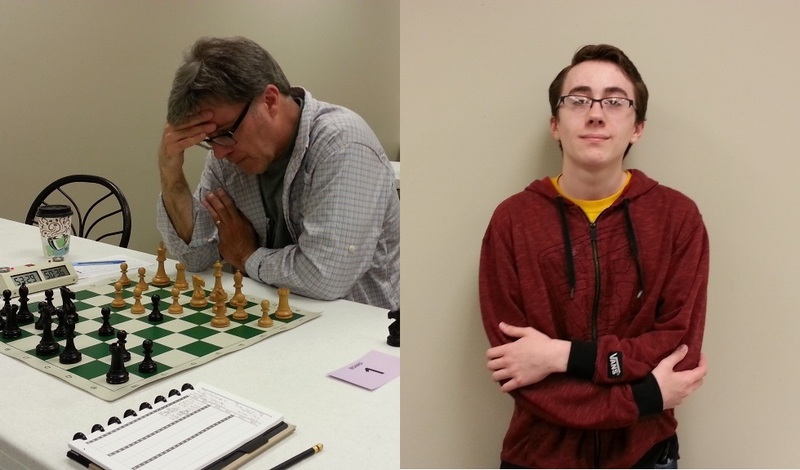 Daniel Sajkowski from Torch Lake won the Open Section, and Gavin Roupe from Mount Pleasant won the Reserve Section at the Traverse City Challenge V held on Saturday, May 16 at the Grand Traverse Mall. These are Dan’s and Gavin’s first wins at our tournament series and I’m sure we will be seeing a lot more of them in the future! Left: Dan Sajkowski deep in thought during Round 2. Right: Gavin Roupe, winner of the Reserve section.